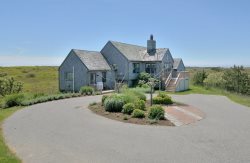 Walk right out onto the beach with the most beautiful waterfront views of Nantucket Sound and the yacht club. 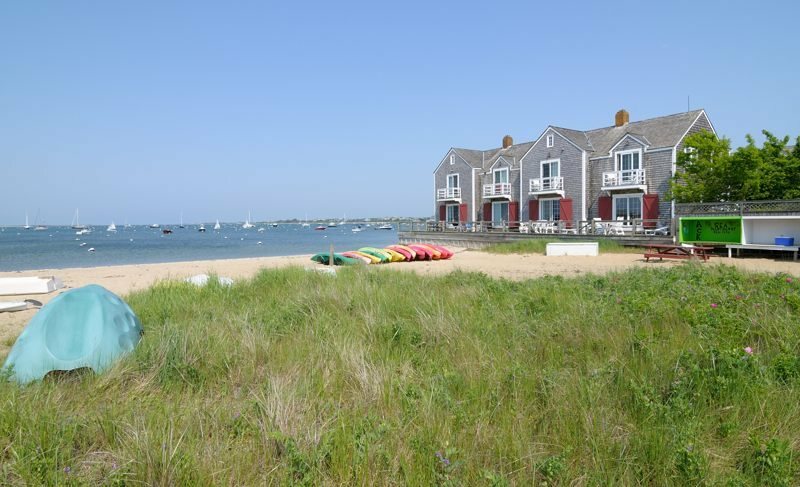 These two story townhouse are also within an easy walk to downtown Nantucket with all of its cobblestone streets, fine restaurants and elegant shopping. Continue past Francis Street (most of the traffic will turn right here) Harborside Town Homes (80 Washington St.) will be your next left (after beach). Look for the beach with kayaks! Parking spaces are labeled for each unit. 50 feet!